High quality pastry / glazing brushes which are certified as food safe and an essential utensil for any professional kitchen. 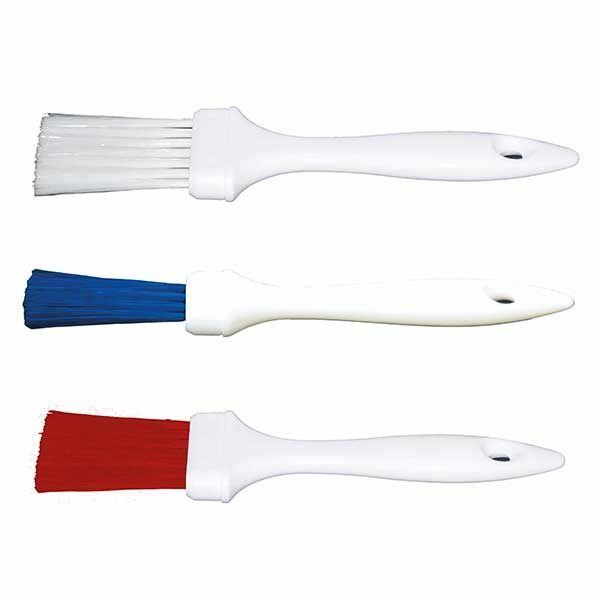 Available in a variety of sizes and colour coded to complement food hygiene procedures. 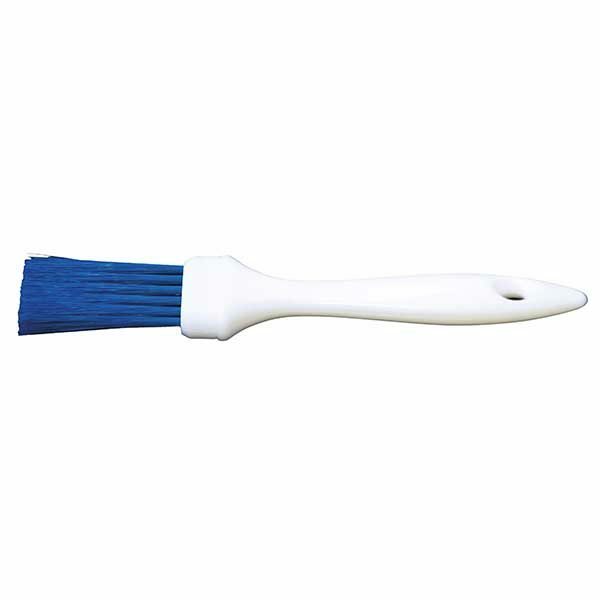 The brushes are autoclavable at temperatures up to 80˚C. Colour coded cleaning, the process in which colours are paired with cleaning equipment for certain locations. 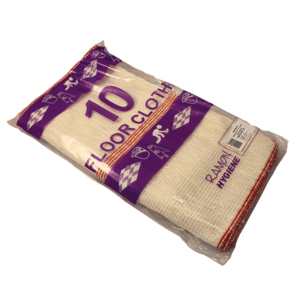 This helps in reducing the spread of germs across areas as well as increasing hygiene throughout a business or home. For example using a single mop to clean every floor in a restaurant, can spread bacteria from the washrooms and toilets to kitchen and also food preparation areas. 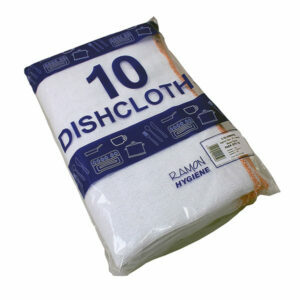 This carries a risk of cross contamination and therefore illness. Applying a colour coded system to set apart sensitive areas from one-another is the most efficient and effective way of reducing the risk of cross contamination. 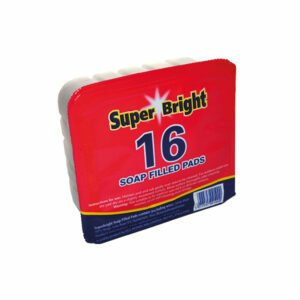 Developed by the BICSc is a universal colour code chart which is recommended for use within the cleaning industry. Red is assigned to areas such as urinals, toilets and washroom floors. 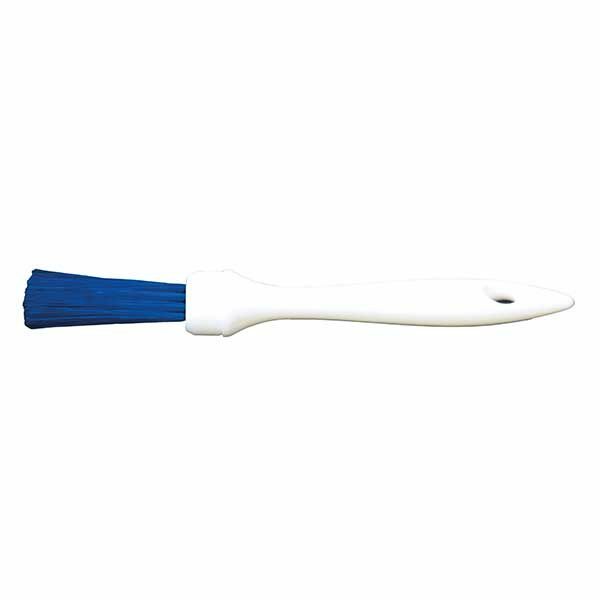 As these areas are universally regarded to have a high-risk of bacterial contamination. By using only red-coded cleaning products such as cloths, mops, buckets and also gloves to clean them, the risk of spreading bacteria outside of these areas are reduced. Yellow is assigned to clinical areas, however yellow is often used outside of the care industry as a colour assigned to the cleaning of all other washroom surfaces, including sinks, mirrors, cubicles, tiled walls, glass and also metal. Having two different colour codes for wash rooms ensures that the same cleaning products are not used on toilet seats or urinals as on sinks and taps. This helps to further contain the spread of infection. Green has been assigned to food and drink preparation areas, including kitchens and bar areas. Food preparation areas pose a high risk of cross-contamination particularly from uncooked meat and fish. Therefore it’s crucial to control the use of cleaning products in these areas. Blue has been coded for low-risk areas, such as offices and hallways, as well as for general dusting or polishing. 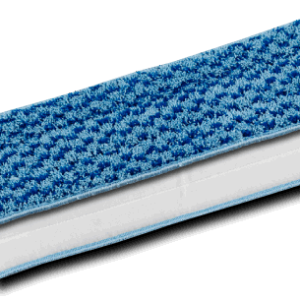 As there is usually a lower degree of bacterial contamination in these areas compared to other areas, blue coded cleaning products can be used across a wider range of surfaces. 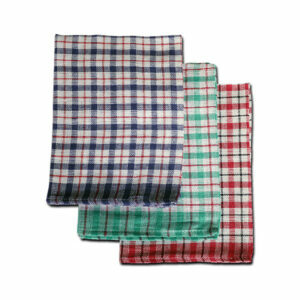 Super absorbent coloured check tea towel, makes drying dishes a breeze. 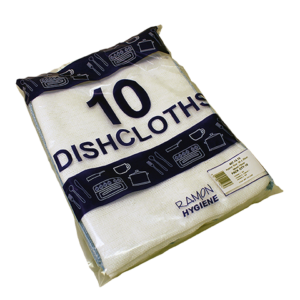 Great for commercial or domestic kitchens. 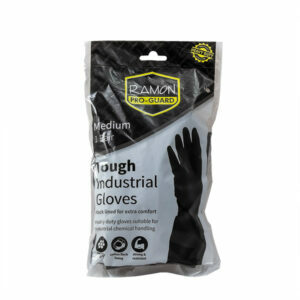 Supplied in assorted colours and machine washable. 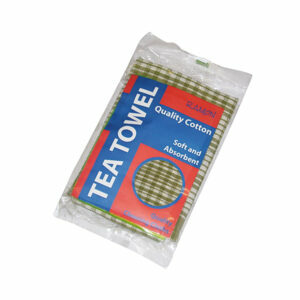 In assorted colours, this premium checked tea towel is supplied in an attractive flow wrapped pack. 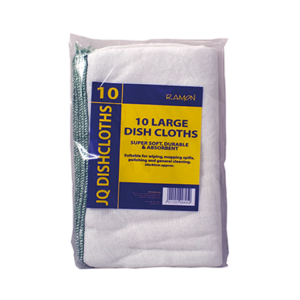 The quality cotton is soft and absorbent. 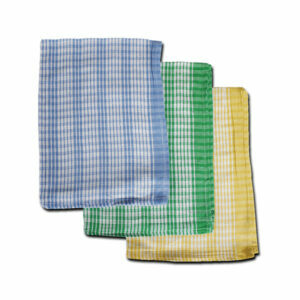 Lightweight economy tea towel supplied in assorted colours with attractive check pattern design.